With cold temperatures in many parts of the Carolinas right now, it’s tempting to want to go out and warm up your vehicle before you head to work or school. However AAA Carolinas advises against it. First, it’s unnecessary and a waste of gas. Secondly, warming your car and leaving it idle is a very easy way to get it stolen. If you think warming your vehicle up in a garage is safe, think again. Idling your car in the garage – even if the door is open – is extremely dangerous as it allows fumes containing carbon monoxide to cloud in the area. What’s worse, if your garage is attached to your home, those gases can spread to the entire house as well. Idling in the garage can also cause a build-up of grime and other particles in the building over the years. 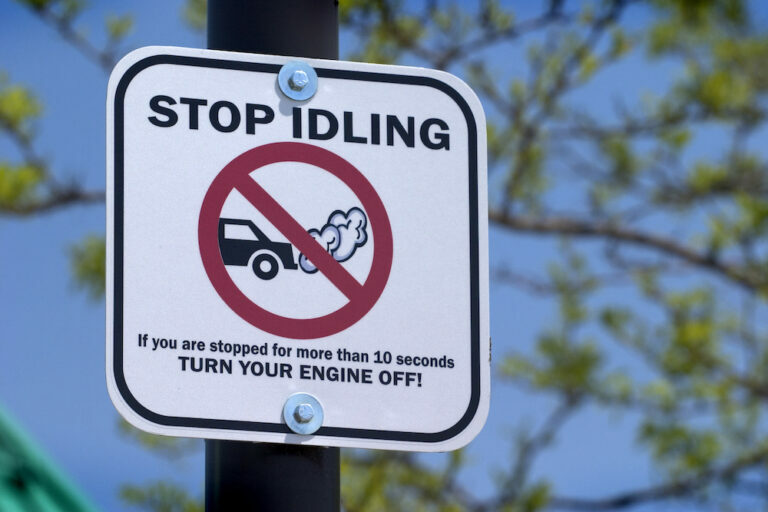 Studies have also revealed that idling can actually wear down your vehicle over time, as the practice forces an engine to operate in a very inefficient mode that can eventually degrade the engine’s performance and as stated earlier, waste fuel. And there is the obvious fact that, idling produces exhaust which is hazardous to human health and creates air pollution. So this winter, pass on idling your car in the garage or driveway in the morning. Driving warms the car faster than idling, so it is better to get on your way and let the car warm itself naturally. Don’t forget to buckle up!